The Akun Eagle Owl is a medium-sized dark owl with prominent ear-tufts. 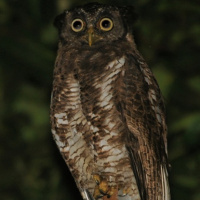 It is also known as the Sooty Eagle Owl. 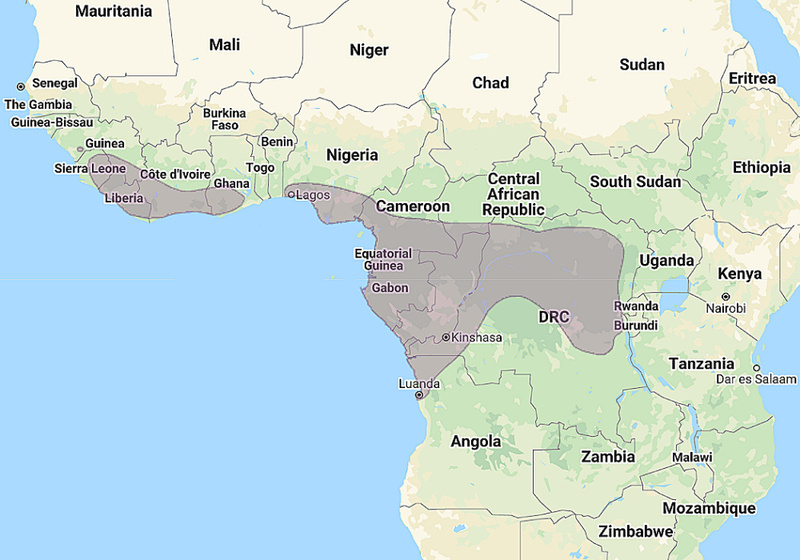 Distribution: Western Africa from Sierra Leone and Guinea to Angola, as far east as Uganda. Original Description: Hartlaub, Carl Johann Gustav. 1855. Journal fur Ornithologie (J. Orn.) 3: p. 354. See also: Other owls from Africa, Genus: Bubo. Page by Deane Lewis. Last updated 2015-10-26.